Neville Sotheby Pitcher (1889-1959). oil on canvas signed (LL) and annotated (LL) " A Breeze in The Bay". Neville Sotheby Pitcher was a well respected artist of his day, seascapes and landscapes being his theme. A member of the Royal Institute of Oil Painters and the Royal Institute of Painters in Watercolours he also hung at the Royal Academy and illustrated many nautical books of the time. 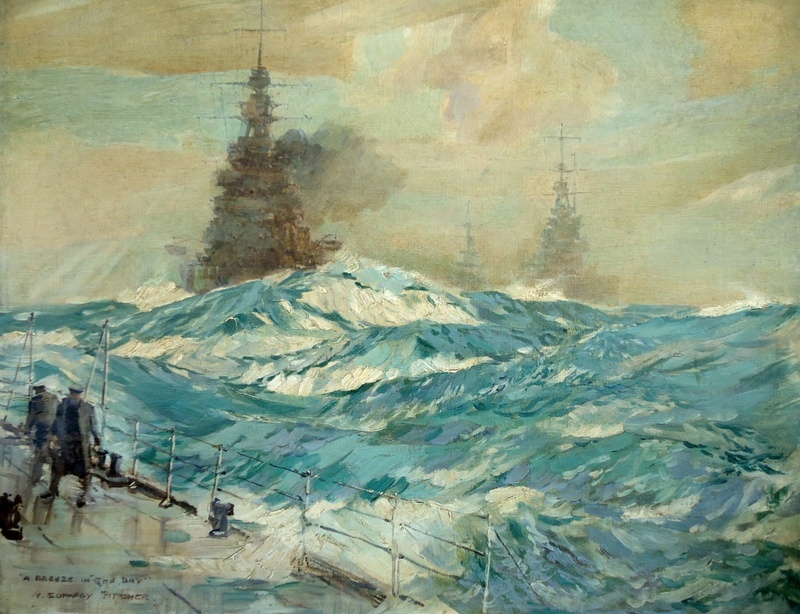 He joined the RNVR in World War 2 which, we are told, heightened his appetite for painting maritime scenes. He was clearly a good draughtsman who knew the proportions of the ships he painted and his seas are superbly well observed and executed.